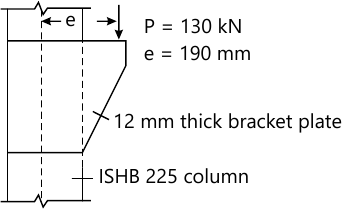 2 (b) Design a bracket connection using 4.6 grade black bolt of suitable size to transmit a factored load of 130 KN, applied on a 12 mm measured from the column axis as shown in figure. 7 Figure shows the typical floor plan of steel building. 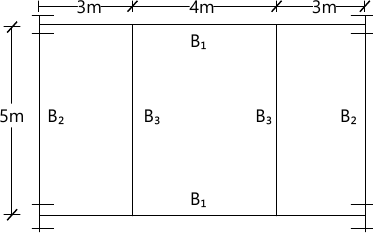 Unit weight of concrete & brick masonry is 25 KN/m2 and 20 KN/m2 respectively.